Notification Center in Mac OS X is great but it can act up every once in a while and either stop updating completely, alerts may not comet through, widgets may not load, or the entire thing can freeze up and become inaccessible. Notice the Notification Center menu bar icon disappears and reappears when you kill it from Activity Monitor, this indicates it has been restarted. If you previously disabled Notification Center by using launchctl, killing it will not cause a restart and instead it will stay shut. In that case, you’d have to reload through launchctl before it would open again. Note there is no space between the names, unlike when you see the process within Activity Monitor of OS X. The net effect is the same and so is the process, the panel will relaunch, and alerts will come through again (and Do Not Disturb will turn off if you had it on). 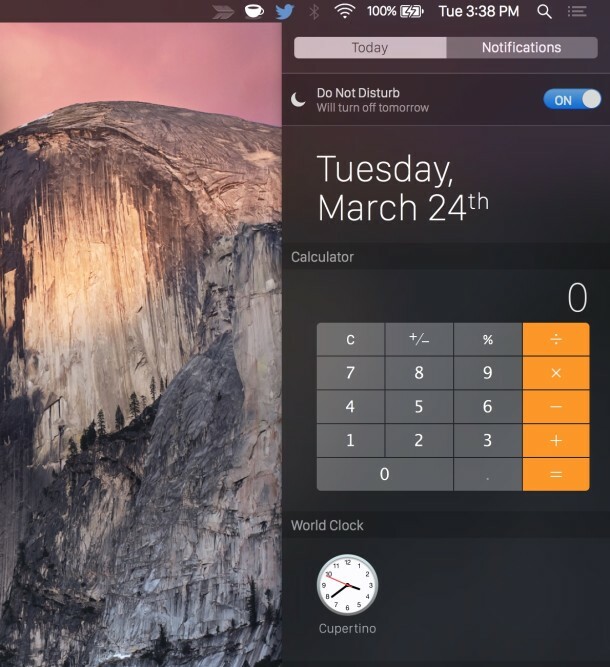 This works in all versions of OS X that include the Notifications feature and Notification Center. The next time Notifications and alerts are acting up on the Mac, try this out. Cool. I’ve had Notification center freeze up on me on some occasion. Nice to know of this quick fix, as opposed to rebooting the whole system. It appears to me that this is happening frequently: my not.center hangs when logging in early in the morning, mostly by displaying some birthday or another iCal issue. Trying the procedure above 5 to 6 times does not help. It simply stays on top of my screen, when mousing over the coloured ball…. So glad to find a way restart not.center without reboot my mac!! I have tried everything… re-installed system, apps, rebooted, nothing is working !!! Perfecto! Excellent solution; so superior to restarting the whole mac!! Thanks for the easy solution. So annoying to have noti freeze. Thanks much — you resolved a very annoying problem.